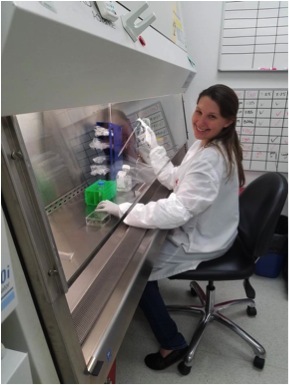 Christy is currently employed at Cook Myosite, Inc in Pittsburgh, PA where she works as a Cell Culture Associate maintaining clinical cell cultures for personalized cell therapy products. Previously, she carried out undergraduate research in the lab of Dr. Karen K. Resendes focusing on the effects of combination chemotherapies on nuclear transport disruption. Rebecca is currently enrolled in the Molecular and Cellular Biosciences PhD program at Wake Forest University, Winston-Salem, NC. Her research focuses on how cell metabolism contributes to resistance in acute myeloid leukemia. Rebecca carried out her undergraduate research in the lab of Dr. K Resendes, Westminster College. Corey is currently enrolled in the Cell and Molecular Biology Ph.D. program at the University of Michigan, Ann Arbor, MI. Previoulsy he carried out undegraduate research in the lab of Dr. K Resendes, Westminster College and at St Jude Children's Research Hospital in Memphis, TN. Corey's current research focuses on investigating gene function by knocking out genes in C. elegans using RNA interference technology. Casey is currently enrolled in the Genetics and Molecular Biology Ph.D. program at the University of North Carolina, Chapel Hill, NC. 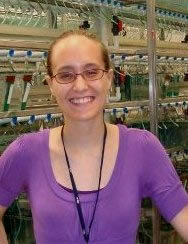 Her research focuses on the biogenesis of RNA splicing effectors in Dropsophila melanogaster. 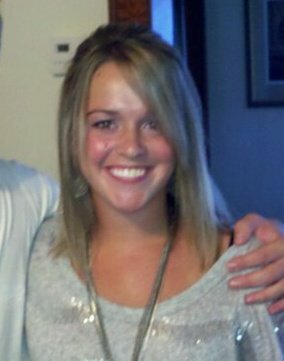 Casey carried out undergraduate research in the lab of Dr. K. Resendes, Westminster College, and at the University of Pittsburgh. 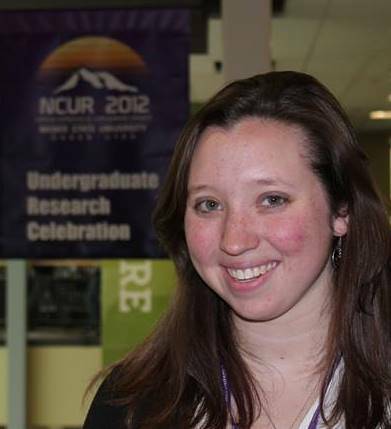 Emily is currently attending graduate school at Roswell Park Cancer Institute (University of Buffalo) in Buffalo, NY, in the Molecular & Cellular Biophysics and Biochemistry Ph.D. program. Her research focuses on the study of novel genetic mechanisms leading to the reversion of melanoma cancer cells to a more differentiated state. 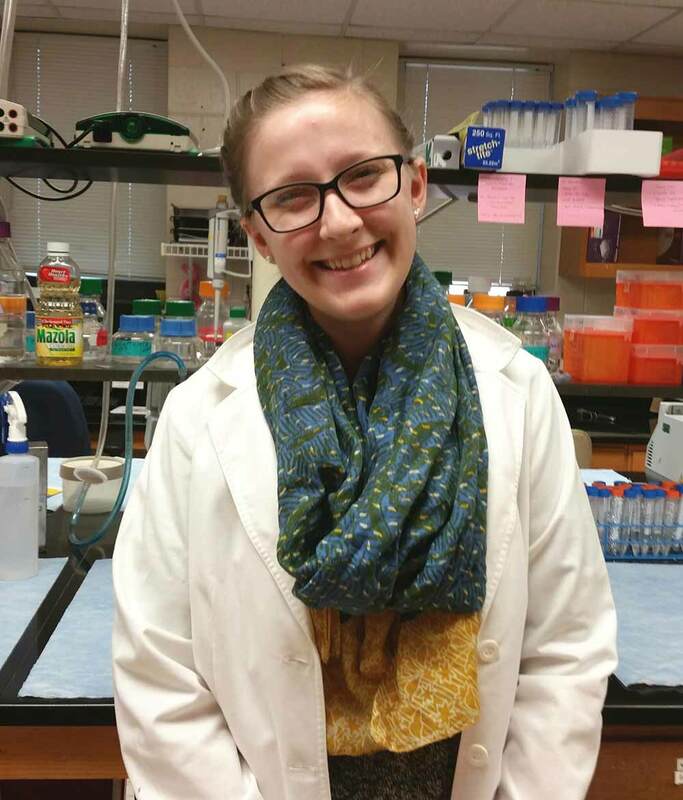 Emily carried out undergraduate research in the lab of Dr. J. Corrette-Bennett, Westminster College. Sirena is enrolled in the Molecular, Cellular and Developmental Biology Ph.D. program at The Ohio State University in Columbus, OH. 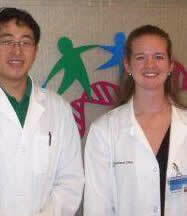 Her research focuses on a gene involved in centrosome duplication and how that gene may be implicated in breast cancer. Sirena carried out her undergraduate research in the lab of Dr. J. Corrette-Bennett, Westminster College. Natasha is currently enrolled in the graduate program in Veterinary Medicine at the University of Minnesota, St. Paul, MN. Previoulsy Natasha worked as a research technician in the Department of Developmental Biology at the University of Pittsburgh Medical Center, where she worked on kidney regeneration in zebrafish. Natasha's project involved chemical screening to identify new compounds that expand the renal progenitor cell population, which may have the potential to promote regeneration following kidney damage in humans. Natasha carried out her undergraduate research in the lab of Dr. M. Furimsky, Westminster College. 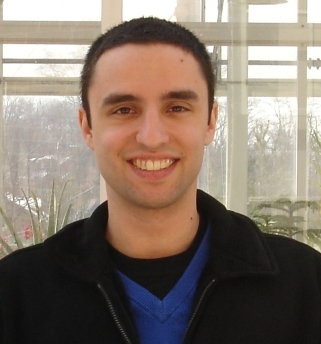 Nick attended Chatham University in Pittsburgh for his M.S. in Environmental Biology where he conducted research in the lab of Dr. Linda Johnson, studying the effects of soil fertility on alkaloid production in Lobelia cardinalis (Cardinal flowers). He also examined alkaloid concentrations in several populations of L. cardinalis to determine if there is variability among populations. 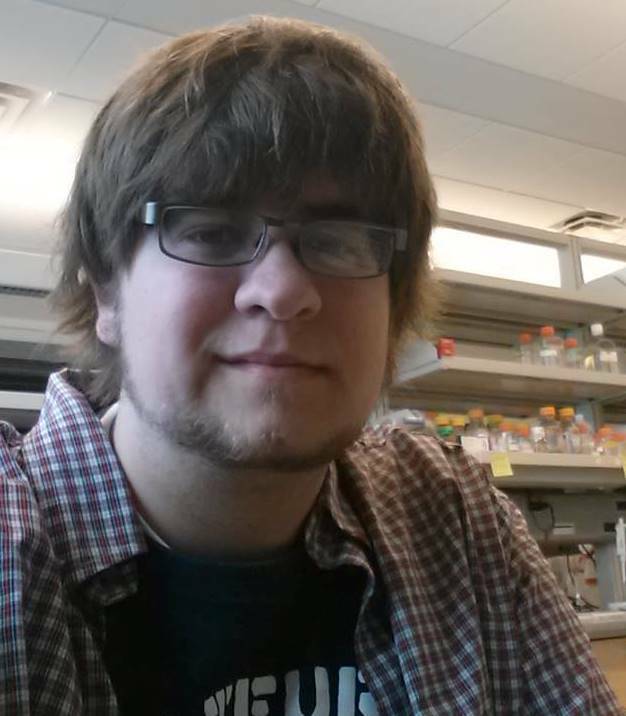 Nick carried out his undergraduate research in the lab of Dr. A. Throckmorton, Westminster College. (2013) Muscarinic acetylcholine receptors are required for nestmate-odor memory retrieval but not for olfaction in harvester ants (Pogonomyrmex barbatus). BIOS 84(3):158-164.